To mark the centennial year of Bauhaus, Taschen Books has launched an updated—and highly impressive-400-page volume providing a comprehensive overview of activities at the Bauhaus school between the years 1919 and 1933. Drawing from the collection at the Bauhaus-Archiv in Berlin, the book smartly divides and subdivides its tremendous size, looking closely at the key figures, dates, mediums and sites that defined the movement and condensing the scale of the movement into one elegantly organised Bauhaus directory. The book is streamlined and visually appealing, not unlike Bauhaus itself, brimming with over 500 illustrations, including architectural plans, photographs, sketches and enlarged archival photographs of various Bauhaus members. The defining principle of Bauhaus is that of the Gesamtkunstwerk, or the total artwork, a fusion of fine arts and traditional craftsmanship in an effort to collapse the hierarchical distinction between form and function. Bauhaus was fuelled by this ethos of socially-engaged art and design, and to illustrate this, Taschen’s Bauhaus book features the contributions of such figures as Marcel Breuer, Gunta Stölzl, Marianne Brandt, Oskar Schlemmer, Walter Gropius, Ludwig Mies van der Rohe and countless other Bauhaus visionaries whose ideas and practices have endured well into the contemporary era. Bauhaus was a defining movement in Modernism, yet as this book can attest, its legacy remains entirely relevant to the current era of art and design. 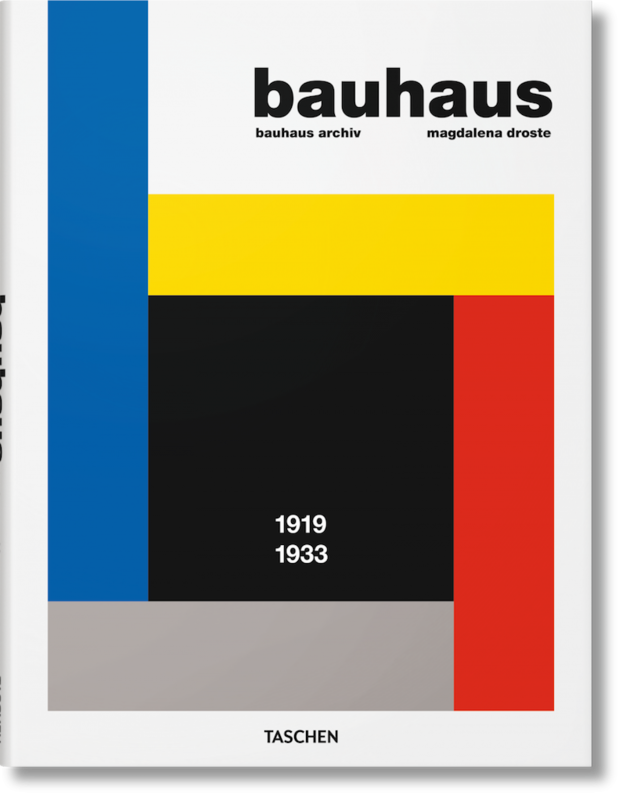 Taschen’s Bauhaus 1919–1933 is edited by Magdalena Droste, a leading figure in Bauhaus scholarship, and is co-produced with the Bauhaus-Archiv in Berlin. Follow us on Facebook and/or Instagram, like the corresponding post, and tag a friend in a comment.